Last week the Spacehive team landed in Hull for an event aimed at bringing together heroic Hullensians united by the desire to make their home a city to be proud of and an awesome place to live and visit. How? Through transforming their civic space in wonderful ways. Providing inspiration on how to turn a crazy idea into a reality, we had Kate Stewart, successful project creator and inspiring human. When the Liverpool Flyover was faced with the prospect of demolition, Kate led a city-inspiring Spacehive campaign to turn it into a “park in the sky”. The night was fun. The ideas were great. And the result has been an amazing array of projects joining the #MakeHull hive. 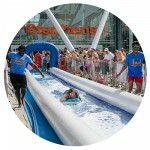 Like the project that would create a splash in Hull city centre with a giant slip and slide. 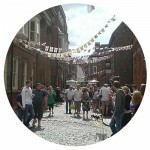 And the project to launch a festival of folk and maritime music on the marina. And the bright idea to light up Hull after dark with colourful displays in windows throughout the city. 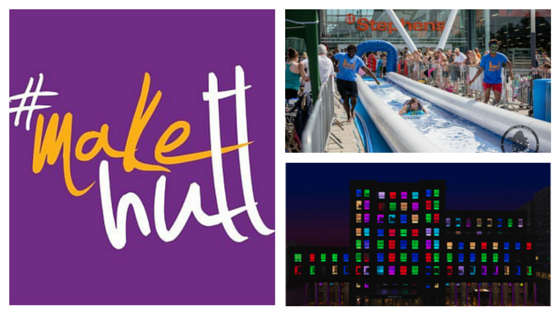 #MakeHull was imagined into existence by a forward thinking group of Hull businesses who are actively investing in the future of their city. Together they are contributing over £50k to b ack crowdfunding projects in Hull that show how great the city can be. For #MakeHull mavericks who want to take advantage of this awesome opportunity, upload your idea by midnight tonight (4th of March). This allows us to showcase the exciting projects coming to Hull and importantly attract more people to create projects in Hull. We’ll be hosting a webinar on how to run a crowdfunding campaign for projects already uploaded to the Hive on 15 March. Don’t miss this great opportunity and get your idea uploaded on time!